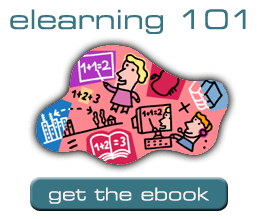 Free eLearning eBooks / eLearning 101: Free eBook on the basics of eLearning just released! The team at eFront and TalentLMS have got together to create a FREE ‘eLearning 101’ eBook to download which contains information on all important and relevant concepts, trends and applications of elearning. The ebook is designed to be a comprehensive introduction to elearning for people totally new to the field, and will also be of interest to other more experienced elearning professionals and course creators. 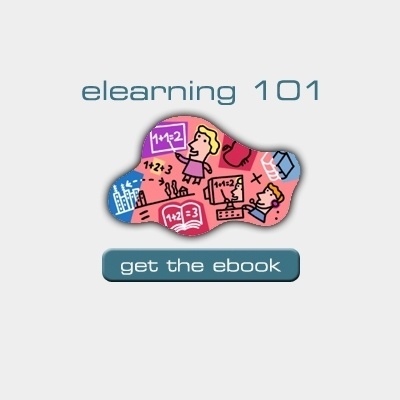 The first chapters of the FREE ‘eLearning 101’ eBook start by defining elearning then move into a description of online training best practices to better facilitate the elearning process. The ebook also describes the difference between learning and training, and likewise elearning in education vs. corporate sector. Did you know that in comparison with corporate learning, learning in the education sector focuses primarily on knowledge transfer and not on training? Whilst corporate elearning is focused on business needs, education is more concerned with global scope. The main characteristics of corporate learning are listed, along with a description of how education and corporate sector training/education overlap and converge. For instructional designers and course creators, the chapters on technologies and tools used in elearning will be useful: learning platforms, types of learning management systems, content authoring tools, compliance with standards such as SCORM & TinCan etc. – how important are they and are they relevant to you? And even more so course designers will find the sections on online courses particularly interesting: What are the elements of online courses? Why are tests and quizzes a vital part of elearning? How can we make elearning effective? What tools are essential to creating an online course?The ebook investigates current elearning trends and how they affect elearning now and in the near and distant future. Topics covered include: social and collaborative learning, blended learning, gamification, micro-learning, video learning, rapid elearning, personalization and elearning, continuous learning. Final chapters explore applications of elearning in customer service, sales training, safety training, customer training, IT training, healthcare training and product training.And if you’re interested in what’s creating "elearning buzz" right now, or where elearning is headed in the future, be sure to check out the “Future of eLearning” chapter which explores the concepts of gamification, personalized learning and micro-learning now, and looks to the future with automated learning much like the kind of learning Neo (Keanu Reeves) received in the ‘The Matrix’ film. In a well-known scene from the movie The Matrix, Neo lies down in a high-tech dentist’s chair and straps on a wild array of electrodes, downloading a series of martial arts training programs into his brain. Afterward, he opens his eyes and speaks the words geeks have been quoting ever since: “I know Kung Fu” – and after reading this ebook you will know some “elearning Kung Fu” too! Since things are always changing in technology and elearning, this eBook will be updated from time to time. So if you have any suggestions for chapters you’d like to see please let the eFront team know on their blog!